The illustrious Jabba bids you welcome! 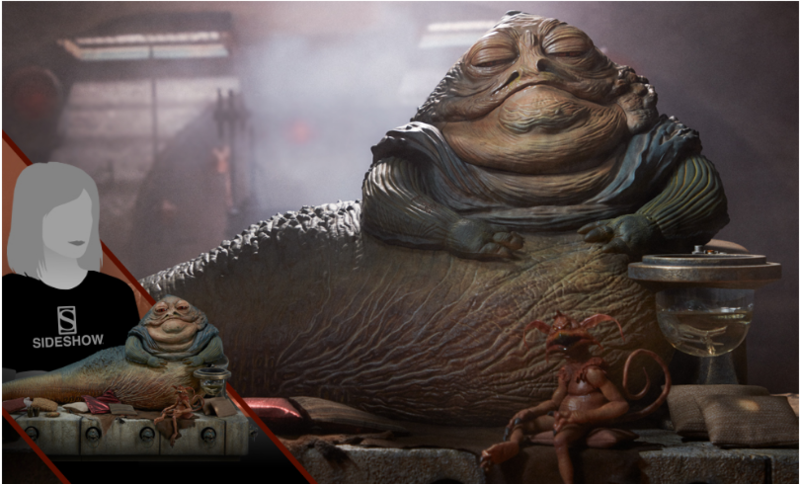 Sideshow is thrilled to present the Jabba the Hutt™ and Throne Deluxe Sixth Scale Figure set. 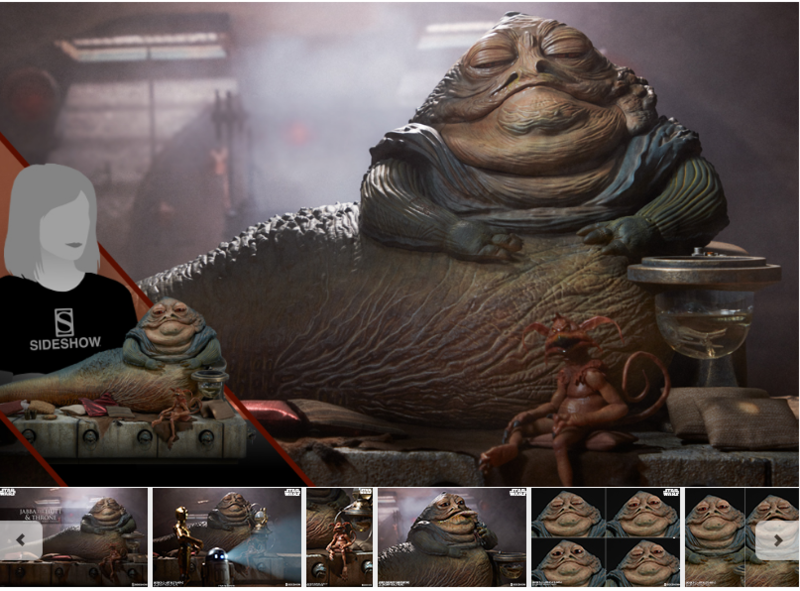 Based on his famously grotesque appearance in Star Wars: Episode VI– Return of the Jedi, this Deluxe Sixth Scale Figure Set features a detailed likeness of Jabba the Hutt™, measuring an intimidating 13.25” tall and over 29” wide. This sixth scale legendary crime lord is highly customizable- if we told you half the accessories he includes, you would probably short circuit!